In July 2015 Multiceras S.A. de C.V., a Mexican wax company that exports 50% of the country’s candelilla wax production, introduced a Candelilla Wax Producer Development Program. 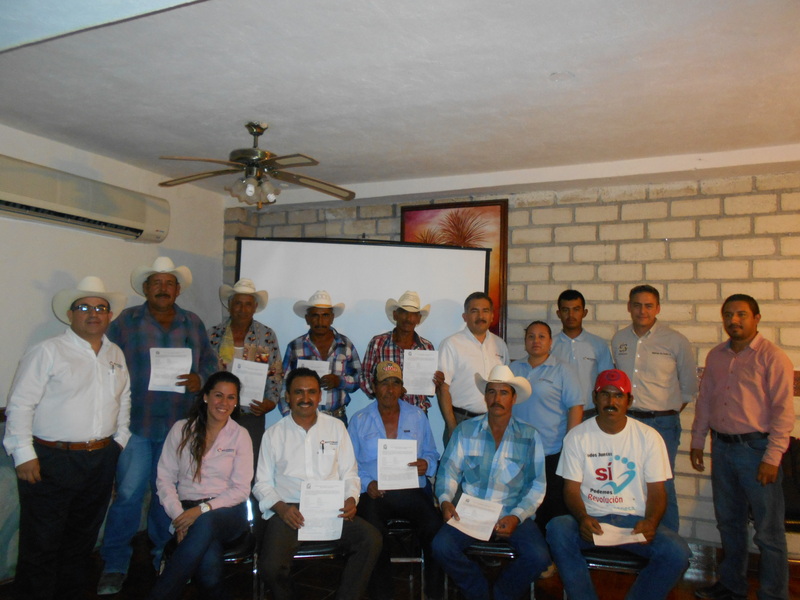 Multiceras invited groups of Candelilleros (the men and women who harvest and produce the candelilla wax) from Coahuila and Nuevo Leon to information sessions on the formation of Rural Production Societies (SPRs) to which the Candelilleros are invited to join. Through membership in an SPR, Candelilleros become eligible for Mexican Social Security (IMSS) medical and pension benefits. 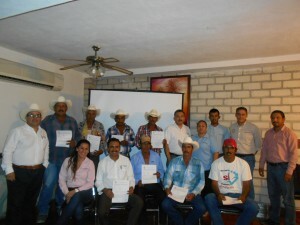 The information sessions were hosted by Multiceras CEO Fernando Montaño and Agro-Business Manager Carlos Medellín. Innovagro, a consultancy agency with experience in SPR start-ups, was on hand to explain how these new SPRs would help the Candelilleros formalize and streamline activities such as issuing invoices, with the added advantage that they would be exempt from paying taxes. Carlos Medellín emphasized his company’s commitment to improving the well-being of the Candelilleros and their families. He also spoke of other Multiceras initiatives to improve Candelillero safety while extracting the wax, as well as the importance of ensuring the sustainability of the candelilla plant through good harvesting practices. By the end of July 2015 more than 50 Candelilleros had joined an SPR, received their certificates, and became eligible to enroll for IMSS medical benefits. Multiceras expects that more Candelilleros will be interested in taking advantage of this program.